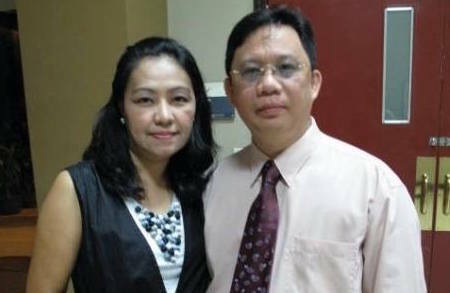 Cebu City, Philippines: It is with great joy as we announce that Visayan Nazarene Bible College (VNBC) has elected Rev. Larnie Sam A. Tabuena as its new president. Rev. Tabuena has excellent educational background in various fields such as Theology, Philiosopy and Religious Education, earning his bachelor of arts and master of arts degrees in VNBC, Asia-Pacific Nazarene Theological Seminary (APNTS) and De La Salle University Manila. He is also a Doctor of Philosophy candidate at the University of Santo Tomas. Rev. Tabuena, whose father is a retired ordained minister, served in several leadership capacities in the Church of the Nazarene. His responsibilities included pastor in the Metro Manila District, member of the Board of Trustees at Philippine Nazarene College (PNC) and VNBC, as well as Education Coordinator for the Philippine Field. He also did administrative work in the Philippine National Administrative Board. 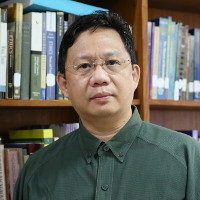 Furthermore, he took teaching posts in other theological seminaries and in Trinity University of Asia. Currently, he is the Assistant Professor in Philosophy and Ethics at APNTS. Philippine-Micronesia Field Strategy Coordinator Stephen Gualberto expressed his joy over Rev. Tabuena’s election as new president. Rev. Larnie is married to Annabelle,who is an ordained elder in the Church of the Nazarene. She enjoys teaching children and is involved in the ministry of hospitality. We wish Rev. Larnie congratulations as he assumes this respected position. We pray that God’s grace and guidance be upon him as he leads VNBC. Also include VNBC in your prayers, as they continue to educate students while cultivating an environment of making Christlike disciples.